In this investigation, various force profiles were compared to identify the optimum profile in a single scull, the easiest boat class to model. Runs with different rowing styles were conducted to obtain velocity data, force profiles and video footage. Thereafter, a comparison between the three profiles is drawn to identify the optimum profile for generating boat velocity. The investigation found that the Fat Middle force profile to be the optimum force profile in terms of biomechanics, energy conservation and generating velocity. This project stems from my passion for rowing, a sport that I have competed in for four years. It is often described as the toughest sport due to the intensity of training. There is often a fraction of a second between crews in races, making every technical aspect critical. One technical feature that has interested me is the athlete’s ’ force profile, the manner in which they apply force onto the water via their blade handle. This report will investigate the effect of three different force profiles on the velocity of a single scull: Jumping Drive, Fat Middle and Big Finish. Force profile: The force applied to water via the blade over time. It is generally referred to as a ‘force curve’. Stern: The back of the boat. The rower travels in this direction during the recovery phase. Bow: The front of the boat. The rower travels in this direction during the drive phase. Drive phase: The phase of the rowing stroke when the blade is in the water. The rower is moving to the bow as force is applied against the water. Recovery phase: The phase of the rowing stroke when the blade is out of the water. The rower is moving towards the stern to take the next stroke. The boat is travelling fastest during this phase. Finish: The part of the rowing stroke when the blade is being removed from the water. Split: The time taken in to row 500m. Relative peak force: The percentage through the drive phase when peak force is applied. Slippage: The movement of water as the blade transfers through the water. Footplate: The plate that shoes are screwed into. It is the only connection between the rower and the boat. Figure 3 is the ideal force profile hypothetically. There is an instantaneous acceleration up to peak power as the blade is inserted into the water. This peak power is held during the stroke and is followed by instantaneous deceleration at the finish. The Square wave shape is the most energy efficient. It has a larger area under the graph, impulse, compared to sharper force profiles. Therefore, the Square wave shape makes a boat travel faster when the same energy is applied. Such a force profile is impossible for a human to produce, since force builds up during the drive phase. Nevertheless, it gives a good starting point for determining the ultimate force curve. In Figure 4, the legs push against the footplate early in the drive. However, the high peak force is not maintained through the stroke. A lot of energy is expended to produce high peak force, but boat velocity does not increase sufficiently due to the small impulse. In Figure 5, the force is quickly applied against the footplate. However, unlike in Figure 4, the force against the handle is suspended by the opening of the back. As a result, the middle of the drive phase has a smooth curve, resembling that of Figure 3. Although the athlete has a similar peak force to the Jumping Drive and Big Finish, they have a larger impulse. Therefore, they make the boat travel faster with the same energy input. In Figure 6, the athlete tries to achieve maximum power at the end of the stroke. This is typically achieved by tugging the blade with the arms after the legs are compressed and not applying a constant force. Similarly to the Jumping Drive, there is high peak force but a low impulse. A lot of energy is expended, but boat velocity does not increase sufficiently. In this chapter, the physics of the drive phase is explained. Then, the optimum force profile is analysed from multiple angles. At the catch, the rower applies force on the oar handle (Fhandle) by pushing against the footplate and suspending their body weight. The force is transferred to the blade and applies pressure on the water. According to Newton’s 3rd law, this creates a reaction force (Fr.handle) on the blade that accelerates the boat forwards. To continue this force application, the body opens from -30° anticlockwise from the vertical to 30° clockwise, beginning with the legs. Finally, the arms bend and the blade is extracted from the water at the finish. During the drive phase, the centre of mass (CM) of the system moves to the bow as the blade slips through the water. When the blade is perpendicular to the boat, it is most efficient as force applied is only transferred to forwards, not lateral motion. Therefore, peak force should be applied at this point of the slide, suggesting the Fat Middle is the optimum profile. As previously explained, a boat accelerates through Newton’s 3rd law. The boat moves forwards with momentum mbvb and the water travels backwards with momentum mwvw. Before the stroke, total momentum p = 0, since everything is at rest. After the stroke, p = mbvb – mwvw = 0 because the total momentum can’t change due to conservation of momentum. During the drive phase, the blade and water experience an impulse, i.e. a change in momentum. The magnitude of the impulse directly affects boat velocity following the stroke. Therefore, impulse corresponds to the area under a force-time graph, as previously stated. Larger area corresponds to greater boat velocity. 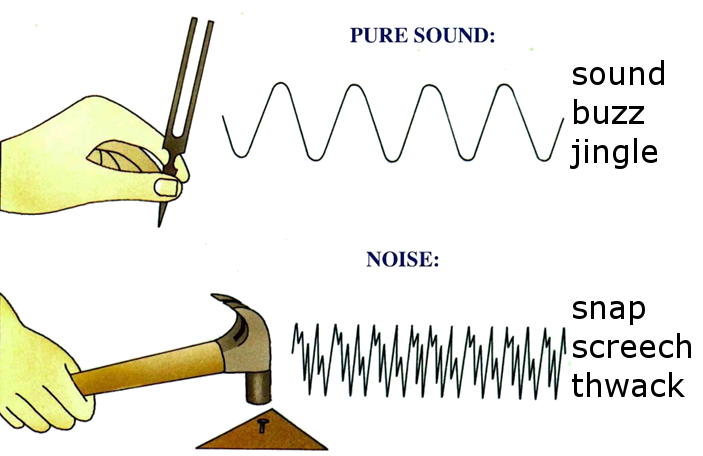 Both the Jumping Drive and Big Finish have sharp, triangular force peaks. In contrast, the Fat Middle has a smooth, rectangular force peak. Therefore, the Fat Middle’s area ≈ bh, white Jumping Drive and Big Finish’s area ≈ bh/2. Even if the Fat Middle experiences a lower peak force, the area under the graph is significantly greater. The force shapes are hyperbolic in Figure 8 below to make the area difference clear. Figure 8-Area under Fat Middle is significantly greater than the other profiles. Therefore, the Fat Middle profile results in the greatest impulse and boat velocity. Slippage is water moving as it gains momentum during the drive phase. Although it must occur during the drive phase, ‘washing out’ and moving light water quickly is energy inefficient. Kinetic energy represents mechanical work performed by the blade. More energy is needed to move little water quickly than more water slowly, as per Equation 1. Light water moved quickly results in a higher KE (w), since velocity is squared while mass is not. Therefore, there is a higher total KE although KE (b) is constant. Therefore, the boat moves at the same velocity with more energy input, making the system less efficient. Studies show that higher blade force results in more slippage, since higher propulsive pressure is applied against the water. Therefore, the aim is to apply a constant force through the drive, as opposed to having high force variation. This suggests the Fat Middle is the optimum force profile, since the profile is more rounded than the other profiles. The relative power of the various muscles used also affects the force profile. Three body parts are used in the rowing stroke: legs, back and arms. The legs provide c.70% of the power in the rowing stroke. Legs are significantly more powerful than both arms and the back, so they must be the predominant force provider. The back provides c.25% of the power. It continues the force application once the legs are compressed. However, to ensure a smooth force application, they should open with the legs at the catch. Rowing biomechanics supports a more front-end orientated stroke, where force is applied against the footplate at the catch and suspended until the end of the stroke. The Big Finish is shown to be an inefficient force profile; since the arms and back are significantly weaker than the legs, significantly more effort is needed to produce the same force. The Jumping Drive is also shown to be inefficient; since the back and arms do work instead of the legs, the total force application is lower. The various aspects of the rowing stroke all suggest the Fat Middle is the optimum force profile. However, the relative peak force is still undetermined as it is specific to a single scull. The optimum relative peak force can range to 35-55% through the stroke length and is decided by the boat type. A single scull involves only one rower while an eight involves eight rowers. Therefore, the total power applied in a single scull is 1/8th that of an eight. Equation 3-relationship between power, velocity and the drag coefficient, a. As per Equation 3, an eightfold increase in power results in velocity doubling. However, since an eight experiences a larger drag force than a single scull, a is greater.Thus the velocity of an eight is approximately 1.6 times greater than a single scull. An experiment was conducted on the Thames in a single scull during 28/04/17. Each run was 1.5 minutes long. The runs were as follows: Jumping Drive, Fat Middle and finally Big Finish. Each run was taken three times to ensure their reliability. From this data, anomalies were removed and a mean was taken. Anomalies were defined as similar force profiles with a relative force peak uncertainty of over 10%. A Polar H7 heart rate belt was worn to monitor my instantaneous heart rate throughout the experiment. The belt connected to a live app on my phone to keep my heart rate at 150-165 beats per minute (bpm). This ensured that the same effort was applied on each run. There were many environmental conditions that could affect boat velocity. These included: water temperature, depth of water, velocity of water and wind strength. All these factors vary daily and can change a boat’s split by over a minute. In order to control these conditions, the experiment was conducted within a 30 minute timeframe. Data was taken in a short path by Chiswick Pier to limit the variables. The time selected for the experiment was 5:20pm on a Friday. Since it was after school at the end of the week, few boats were expected to be on the Thames, thus ensuring the water was calmer. In addition, the water and wind were expected to be calm, limiting the effect of water velocity and wind strength on the experiment. There were also various factors of my rowing that affected boat velocity. These included: the number of strokes per minute (spm), the pattern of my sequence and my stroke length. Keeping these factors constant relied on using a stroke meter, a device that measures my spm, and my own experience as an oarsman. I rowed at 18 spm, a low and manageable rate. This would provide 27 strokes of data every run. I rowed in the standard rowing sequence of legs-body-arms. My accompanying coach, Mr Charles Bourne, ensured that I followed this sequence. However, different aspects of the sequence were emphasised to produce the required force profiles. Since I rowed full slide throughout the experiment, the stroke length was relatively constant. From previous data, I found that my stroke length is 84±2cm. Data was collected via four means: a heart rate monitor, a video camera, a telemetry device and an iPhone app. The telemetry device recorded force against gate angle throughout the stroke. It provided a mean of all strokes in a run, ensuring a few anomalous strokes did not significantly affect the data. An iPhone app, Rowing in motion, was used to record boat velocity in m/s. The velocity of each run was shown in a v/t graph and with the accompanying data. The average stroke length, spm and other data were also provided as a mean of the data. My mass was recorded using a weighing scale and the boat mass was taken from its dimensions data. Took my mass on a weighing scale. Boated at 4:50pm from St Paul’s School Boat Club in a single scull, called Liffey. Rowed to Chiswick Pier, where experiments began at 5:20pm. The three force profile runs were taken thrice from 5:20pm to 5:50pm. Anomalous runs were repeated as I or my coach deemed fit. Figure 12-The path rowed in Liffey during the experiment. It is a loop from St Paul’s School Boathouse to Chiswick Pier. The total length is 3.61km. Figure 13-Heart rate during the first 20 minutes. The four peaks in the 150-165bpm range indicate four runs. All the runs were kept in the desired range. These results show that my heart rate was within the desired range throughout the experiment. These results show that my relative force peaks were in the appropriate ranges described by Dinares. The Jumping Drive and Big Finish had an exaggerated peak of 25% and 63.6%, significantly out of the optimum peak of 43-48%. The Fat Middle peak is 44.4%, inside the optimum peak range. This confirms the reliability of my relative force peaks. The uncertainty in the Jumping Drive was ±9.09%. Although it was not over 10%, thus not requiring a rerun, it was significantly larger than the other two force profiles. The uncertainty needed for a rerun should have been ±5% to limit the uncertainty. Uncertainty = ±1 square since the counts were counted individually by me in separate sections. The drive duration was calculated by slowing the video of each run to x0.1 speed. The total blade time in the water was calculated and divided by the number of strokes. Calculating the total time with a speed reduction improved the precision of results. Averages of each force profile were then obtained. These results show the Fat Middle had a significantly greater average impulse than the other two profiles. It would therefore provide the greatest momentum to the boat, resulting in the greatest average velocity. Stroke length was provided by the telemetry data. These results show that average stroke length was kept relatively constant throughout the rowing style changes. These results show that average stroke rate was very consistent throughout the rowing style changes. There is no need to calculate uncertainty since the velocity of all three runs are affected by varying weather conditions equally, having little effect on the relative uncertainty. Overall, experimental uncertainties were very small. This was due to the precision of data obtained from the equipment; for example, the telemetry data was accurate to 0.1° gate angle. It was also due to my meticulous precision, such as slowing down the video and obtaining a mean drive duration from all the videos. The Jumping Drive had a large uncertainty in relative force peak. In hindsight, I would reconduct a run to obtain more reliable data with a smaller range. In the Jumping Drive, the body stayed 30° anticlockwise to the vertical while the legs aggressively pushed against the footplate. The body were used after the legs were flat. This resulted in a sharp force profile, where force applied decreased significantly after the legs were used. Thus, there was little impulse and boat velocity remained low. The sharp peak force resulted in a lot of slippage, visible as white water in the attached video. The slippage shows that a lot of kinetic energy was expended moving light water quickly. In the Fat Middle, the back was used at the beginning of the stroke as the blade was placed in the water. The force application was relatively constant throughout the stroke, resulting in a smooth profile with a high impulse and boat velocity. The apparent bend in the left blade shows good pickup at the catch. The smooth force application resulted in low slippage, thus little white water is visible in the attached video. In the Big Finish, the legs pushed against the footplate slowly. The back and arms were used to forcefully tug the blades later in the drive phase, causing a lot of tension in my shoulder and arms. This created a sharp force profile later in the stroke, with little force applied in the first half. Thus the profile had a small impulse and low boat velocity. The arms and back only do 30% of the work in the drive phase, so tugging with them is energy inefficient. The big tug resulted in a lot of slippage, visible as white water in the attached video. Overall, the experiment was successful. All relevant data was collected using multiple recording devices. I was consistent throughout the runs and environmental conditions did not change significantly. When anomalous data was obtained, it was excluded from calculations and the run was reconducted. The data clearly supports my research and uncertainties were generally low, proving the reliability of my data. If the experiment were repeated, it would be conducted in a calmer, straight environment, such as a 2km lake. The River Thames is very busy, with frequent wash due to unsettled winds, other boats and a curved course. Although my coach helped to guide me, having to look around to steer and the challenging conditions made maintaining a rhythm difficult. In addition, my catch placement was occasionally late or excessively violent. This inconsistency lowered the reliability of my data. If the experiment were repeated, a more experienced oarsman would be used. A major risk was that I brought my phone into a single scull. Single sculls are the most unstable rowing boat and I had already fallen into the water in September. Thus, I risked losing my phone to obtain data. In future, I would use a stroke meter to also record boat velocity and a waterproof heart rate watch to record my heart rate. I could interpret a great deal for the results. The data shows that the Fat Middle force profile definitely causes greatest boat velocity. The average impulse and boat velocity were higher for the Fat Middle than the other profiles, although all other factors were kept constant. This answers the original question-what is the optimum force profile for a single scull? The Fat Middle force profile was generated by an early suspension and opening of the back and push against the footplate from the legs. The Jumping Drive and Big Finish were a result of exaggerating either the leg push or body opening respectively. The results also show that drive duration decreases as impulse increases, as the long duration of the Big Finish shows. This is because little force was applied against the footplate until the back and arm tugged the blade. Since Impulse = FΔt = mΔv, the impulse and subsequently the boat velocity were lower. The relative velocity of the water was slower, thus making the drive phase slower. Although the Fat Middle is unequivocally the optimum force profile, more research could be done into the details of the relative force peak. My experiment compared extreme peaks, such as 25% and 64%. Most athletes row with more moderate profiles. Thus, future research could compare the effect of different force peaks in the 44-50% range on boat velocity to obtain more useful data. The Fat Middle is unequivocally the optimum force profile in all rowing boats. This is obtained by a suspension and early opening of the back while pushing against the footplate. The profile generates the same peak force and is as tiring as other profiles, yet it resulting in significantly higher boat velocity. There is less blade slippage and a smoother connection throughout the drive phase. Dinares, Carlos. Carlos Dinares with RP3 Rowing. 19 December 2014. https://www.youtube.com/watch?v=itPbJfYFYuI. Dreher, Jim. Physics – Mechanics for Rowers. 3 March 2015. http://durhamboat.com/PhysicsMechanicsForRowers031515F.pdf. Dudhia, Anu. Department of Physics. 13 December 2017. http://eodg.atm.ox.ac.uk/user/dudhia/rowing/physics.html/basics.html#eq22. ESFTV. Physics of Life – Physics of Rowing. 2 August 2010. https://www.youtube.com/watch?v=2EZwXOYgJAA. FISA. USRowing leads the way in inclusion. 08 June 2009. http://en.olympic.cn/news/sports_news/2009-06-09/1811512.html. Kleshnev, Dr. Valery. “Rowing Biomechanics.” 2006. Roth, W. The Physics and Physiology of Rowing Faster. February 2000. http://global-rowing-service.com/html/the_physics_and____.html. What is the potential of the intestinal microbiota as a target for treating obesity in comparison to current bariatric surgical procedures?